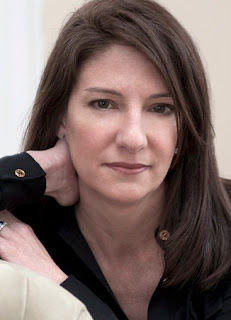 Author Nichole Bernier’s debut novel The Unfinished Work of Elizabeth D is coming from Crown/Random House in June 2012. But in terms of book party knowledge, Nichole is already a prolific best seller. After you read this, you’ll wish you lived close enough to her to make it onto her literary invite list. There were about 45 children sitting on my living room floor. Their parents leaned against walls and stood in doorways, ready to step in if things got ugly. But the kids were rapt, listening to the author read. I had thrown adult book parties, usually around 40 people gathering to celebrate the release of a novel, meet the author, get a signed copy. But I’d underestimated the popularity of the parent-child invitation. “Bring literature to life for your kids!” I’d emailed friends, expecting the regular 50-percent RSVP rate of most events on school nights. “Come hear three YA authors, ask them questions, and get signed books.” Within days I had to apologetically cut it off at 30 adults plus their 45 children. Then, I imagined the elementary school kids—hopped up on lemonade and desserts, humming books at one another—and I began to shake. What happened instead was this: the kids were thrilled to meet real live authors, and they asked smart questions. The parents were thrilled to make reading cool for their kids. The authors were happy—we sold well over 100 books that night—and so was the local bookstore that provided them. I was happy because I’m a geek about connecting people with new writers, and I love talking books. It doesn’t have to be expensive or elaborate or difficult. But it took me a few tries to make it easier. Here’s what I’ve learned. Do you have a friend who is an author, or a friend of a friend? You might even extend an invitation to an author you admire; these days, writers are making themselves increasingly accessible to book clubs and other events. It doesn’t matter if he or she has a new book coming out (though that’s always nice). The beauty of book parties is that they exist outside of the trendiness and timeliness of shelf life. For our first party, we ordered the books from a certain massive online vendor, and enlisted a friend to sit and sell. Once I started thinking outside the box-with-a-black-swoosh, I realized my local independent bookstore might be interested in getting in on it. At my first book party—for my dear friend Randy Susan Meyers on the release of her debut novel, The Murderer’s Daughters—I put out all kinds of platters, passed all sorts of hors d’oeuvres, put out a wide variety of drinks. I made myself crazy, and most of it went untouched. Go ambitious if you want to, but you really don’t need to be the barefoot contessa of the literary world. People want something to sip and nibble, but mostly they want to mingle, listen and talk, and would just as soon have their hands free (and not be eating while the author speaks). Now I just do bite-sized pastries and strawberries, some wine and Orangina. And did you know you can buy bags of M&Ms in custom colors at party stores? You can put out dishes of little Ms to match the book jacket. How cool is that? I’ve done both email and mailed paper invitations. Obviously email is smarter, but there’s something about having a bright postcard on the bulletin board that keeps the party on the forefront of folks’ minds. Hard copies can be ordered inexpensively (about $.50 apiece) from a company like Vistaprint. Design them with what you’d like to see if you were receiving it: the author’s headshot, book cover image, and a short description of the book. Maybe an excerpt of a review, or a hot opening line. Make Taylor Rental your friend. Chairs are about $1.75 each to rent, and if you don’t own an oblong folding table for book sales, they run about $10. If you don’t want to use plastic cups, glasses are about $.50. (Bonus: you don’t have to wash them afterward). Authors like to stand in front of something when they read, and have a place to put down their manuscript or book. The first time, I borrowed a podium from the elementary school. After that, I bought a basic black metal music stand at the local guitar store for $35. I’ve usually had events run for 90 minutes; time for arrivals, refreshments and purchases, then a short introduction for the author (it’s nice to describe how you know them and what you like about their work). Most authors don’t read for more than 10 minutes. Follow with a Q&A period (have a few plants in the audience in case folks are shy), then at least a half hour for more purchases and signing. If you have kids, give them a role. Greeting guests at the door, taking coats, passing hors d’oeuvres. It’s fascinating to watch children’s dawning awareness of writers as real people behind the bylines on the book jackets. This post first appeared on the amazing blog Beyond the Margins. Thank you, Nichole, for sharing it here! Wonderful idea. I'm a first time author, Mia and the Dreaded Bullies is online for purchase. In addition to marketing I was wondering what I could do that's innovative and interactive. This is perfect. Thank you. Wonderful! I love the idea of a parent-child invite. Adding this to my arsenal! Thank you. I love this idea and would enjoy throwing a party for myself or any of my author friends. Great post - thank you, Nichole. Lots of really good ideas. I'll be planning a party or two next February, so at least I have lots of time to put your ideas into action!